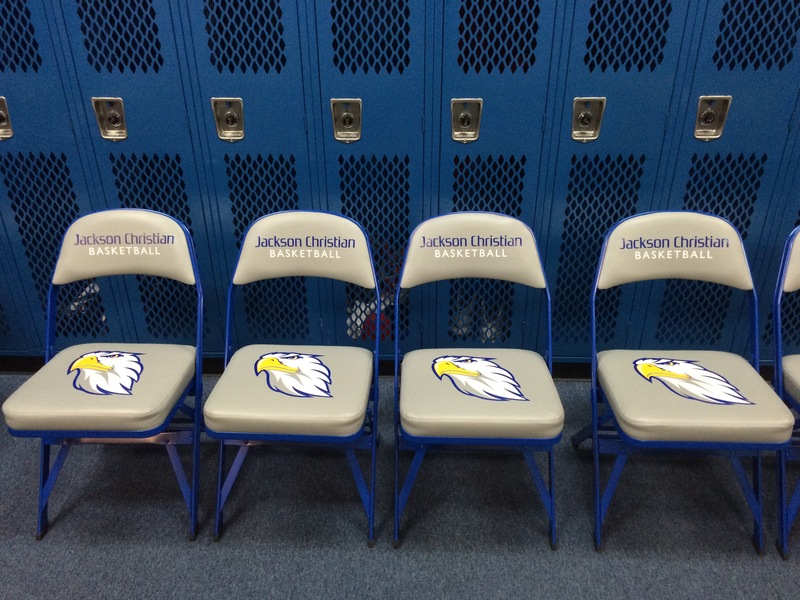 Your athletic team needs some team chairs for them that can get noticed with customized logo crafted on them. If you want to bring the dream logo for your team that inspire pride and promote your team comes true, you are at the right place. We are perfect in designing sideline chairs, logo folding chairs, locker room stools, basketball sideline chairs, and Clarin chair, etc., then we are the best in them. Our motive is to provide quality productsthat can keep you up with your team in a quite impressive way. The relationship between a coach and athletes is very confident. A coach takes good care of his/her athletes in a perfect way. This relationship is all about care, support, and understanding. As a coach, you need to take care of some small details that can boost up the energy and morale of your team. You are supposed to provide them the best you can. Either it is in the form of your affection and attention or in the form of physical equipment you bring up for them. Some of these things can honestly give them the feeling of being a champion team and getting successful in every game. We deal in some of the physical equipment for your team and we design custom chairs and stools, and you can ask us to print the logo of your team on the chairs. We specialize in doing a perfect job and provide you the equipment just as you wanted it to be. We can provide your institute with logo printed chairs and stools with unmatched service and quality. Yes, we believe in quality. There is nothing you can do with your disappointment when you open order and the equipment in that is not the same as you asked and expected. Rather the quality is poor, and the printing is not much neat and tidy as you wanted it to be. When you decide to order custom chairs for your sports space, it is a big decision to make. It is big because it is not an order for one or two chairs, you must have a long range of chairs. This may include multiple types of chairs in it like folding chairs, Clarin chairs, sideline chairs, locker room stools, etc. That’s why it is a big decision. And you have to take it. But you must have to find some trustworthy company who can not only deliver you the equipment in time, but it is also good in quality, no matter how many of them these are. Formerly, I mentioned a word time; delivering the order in time. Time is also a major factor after quality. When you cannot compromise in quality, you also want the equipment in the proposed time period. Maybe a big day is coming for you and your athletes and you are hosting some guests from the town next to yours. In that case, you need to get your delivery a couple of days before the big event day so that you can arrange it in time and the logos on the chairs and stools will boost up the morale level of your players while playing against the team of their neighboring town. We specialize in fulfilling the commitment and delivering quality equipment on the doorstep of your sports space within a given time period. And when the big day arrives, your team will be all ready for that big fight and at that time right before the game starts and during the game, they need some morale and enthusiasm against their opponent team. That is when our designed equipment will work. When they will see their friends having seats on their logo customized chairs and when they will see their own sideline chairs on which they will sit during the match. The quality of chairs will work when they will sit on them for taking a breather and find it soft and fine and will get much relaxation that they will start to feel more excited to be in the team again. Athletic Seating is one of the leading logo chair makers in the country who are committed to providing high quality with affordable price ranges. Our prices are very affordable and when it comes to quality, we do not compromise no matter how less we are charging for them. We believe in good and noticeable work that is the core root of spreading our business to more and more people all over the country. We distinguish ourselves by using high-quality screen printing which is our specialty. We do not do digital printing as we have done research and found out that screen printing is way better than digital one because, through screen printing, we can add up more sharp and catchy colors with thick ink layers which make the logo quite prominent and noticeable. While doing this, it is quite obvious that the making of chairs and stools and printing logos on them is time-consuming process and that is why we ask for long time span to complete our work with chairs. For the reason of time taking process, we are comfortable in doing this because our customers are satisfied with it as they know we will provide them a perfect and high-quality end product. When you are investing in customized chairs and stools, you are not just investing in just the chairs, you are investing in us. You are trusting us. You are making us your trusty clients who are offering you with our best and you know that. So, we are proud to be a part of your big events and making your team players feel the best. We are proud to be the part of your locker rooms and sports spaces where everywhere, we are being the reason for bringing up the self-esteem drive of the players. We are proud to be the leading customized chairs providers, providing high-quality chairs and stools for more than 30 years. For boosting up the morale and confidence of your athletes, you definitely need to focus on their interests and comfort. So, there is a huge chance of getting success if they have a comfortable and customized Clarin seating including Clarin chairs, logo stools etc. When we talk about folding chairs, we normally get an idea of a simple metal chair that can be folded and used for temporary sitting or maybe some rows of sideline chairs for a basketball match. But this term has been enhanced now with an addition in its features including comfortable seating, flexibility and their customization with logos. Logo folding chairs look more appealing and motivating for the players than the simple ones. Whether you are a part of the football team or you are the one supporting your friend playing in the team, there is nothing like a comfortable seating. There are a couple of important things that are to be considered while going to purchase chairs and stools for your team that are budget and durability. You need to check your school budget as it is very important that you find a budget-friendly furniture range and its durable too. It is not a matter of a few days as you cannot replace the furniture every month, but you have to manage it for the whole year. So, you need chairs and stools that are tough, and their resilience is high. We offer the best furniture range with high quality and economical prices. After purchasing logo chairs and stools, you can sit back and relax as you have got the best for your athletes and you know that they are going to give their best in the field. Moreover, other than durability and comfort, some people want to have furniture right according to their wish. They want the manufacturers to offer choices to them so that they could choose the features as they want. We offer choices. You can choose the frame design, color, logo, names and any other thing you want from our wide range of options. There is also an option of printing logos on frame body and other places as well. Our customized Clarin logo chairs, and sideline chairs are ideal for field, locker rooms, or anywhere you need them. There is a wide range of Clarin products that we offer for your athletes. We can meet all your requirements that you ask for, no matter how many they are as we believe in perfection and our client’s satisfaction. Our products are designed for meeting tough situations as well and for making you proud in front of your players, other students, and guests. They will appreciate you for choosing the best style and such comfortable furniture. We are determined to design the furniture that is not heavy in weight and which you can easily carry from one place to other and we believe in using high-quality technology for printing the logos and names on chairs and stools. If your team needs new locker room chairs, locker room stools, time out stools, chair caddie and a storage cart, we can take care of all your needs in a fine and satisfactory way. The question arises in mind that why athletes care for having their own logos and uniforms so much? The answer is that having a customized logo, uniform or any other aesthetically attractive stuff boosts up the energy to the players as a team. It enhances the sportsman spirit of the players and develops a sense of being together and equal in the whole game. It gives them an identity. As a coach, one has to be a director. Coaches must know, how a teenager feels. It is important you as a coach, to put yourself in the shoes of an athlete student. Imagine yourself as a teenager, and going to the locker room, pulling out your team’s logo designed stool to lace up your shoes and do other stuff. You go up for warmup session and then grab a stool to take a breath. You see the sideline chairs with the logos of your team and feel yourself a part of something you always dreamt about and thought to achieve that. Why not you will get huge motivation from this to stand up, do your job and make your dreams into reality. Now think about your boys, how will they feel when they will have so much motivation around them, how much they will get excited and enthusiastic about playing the game and how big chance is out there for them to win games over games and make you proud before the whole school and town.So, having logo customized chairs and stools and other stuff can give them the energy to play with more will and determination. We understand that there are issues regarding the quality of the chair’s material and printing of logos which just remain last for a few uses. So, our company has a determination to be different as we want each of our customers to be satisfied with our services. We want them to have the things that could last for tough situations. We also realize that comfort is key and we keep that thing in our mind while designing the chairs. Our products are at reasonable prices range. In terms of weight, they are lightweight and easy to carry from one place to others if needed. And the printing is better and through high technology. Custom-made chairs are admired and important element for furniture items in homes, schools, sports clubs and many other places. But this is not everything. These personalized items have turned out to be the latest fashion among marketers to endorse their brand and point thanks to its massive fame among recipients of all age groups and gender. So, if you run a sports organization or scheduling to host some sporting event anytime soon, these folding chairs will build an ideal preference for your team. Your team players will feel special and united when they notice these imprinted team spirit items, which will give confidence them to perform superior in the ground. When you wish to offer your team, a courtside counter or storeroom room, and the look and experience of a team that is champion, an athletic seating is an ultimate choice. We are the leading manufacturers of sideline chairs and logo seating with supreme excellence and services. We can help you with custom printed sideline chairs, chairs. storeroom room chairs, storeroom room stools, and storage space carts slipcover. We offer a lot of storage space system for all logo chairs and chairs for gaming events. If you are looking for new sideline chairs or custom-made folding chairs for your team, Athletic Seating is your number one resource for courtside furnishings. When School is back in gathering, and if your team wants new folding team worktable, locker room stools, team chairs of every kind, Athletic Seating can pay attention to your desires. We are the number one wholesaler for Clarin chair goods in North America. The team chairs of a team printed with their motto increase the team confidence and teamwork to achieve the success on the playground and increase the sense of being present in front of the crowd and opposing team. These team chairs come in a wide range of frame and vinyl colors, so you can be confident to get a blend that will look classy and suit your team colors absolutely. Our Model 3400s come with 3 full inches of stuffing in the seat and an inch of stuffing in the backrest, making them a truthfully comfortable alternative for players to relax and re hydrate on the sidelines or for visitors to calm down and cheer on the team. The Printed Team Basketball Chairs can be Reason of Attention! You can draw attention to your basketball team even in packed events and build the next big promotion move with custom printed team basketball chairs. Lightweight, movable and above all highly convenient and are enormous for promoting game days, and additional events. Your basketball team or business deserves custom team basketball sideline chairs that encourage pride and prop up your brand. When you enfold your basketball courtyard, office, or place with your symbol, it astonishes the difference that it makes to your team, fans, and opposition or customers. The mainly popular model we hold is the Model 3400, ideal for basketball sideline chairs, locker room chairs, every kind of logo chair you will need. We hold the whole line of Clarin products. And all of them modified for your team. Sideline chairs as well make an ideal thank you gift for the players to be thankful for their attempt. Imprint your logo and good luck charm on these eye-catching chairs for the locker room and see how these custom-made chairs will build your team the talk of the township in no time. For the duration of half time, when the players cool down and settle down on these relaxed chairs they will feel actually well appreciated and accurately on top of the world. Every chair that is embossed with the team symbol and slogan will refurbish the team to shatter their own personal best. The locker room is the player’s refuge. A place where they can be themselves, calm down and escape from the fans, media and all-purpose pressure that they have to execute. It is simply fitting that your team must build the locker room as pleasant and as calm as possible. Schools and professional teams similarly will pay out millions of dollars on the improvement of locker rooms and other training facilities to drive additional concentration to their programs. When it comes to sports, it’s needless to say that the information really matters. Athletic Seating is a corporation that can present a chance to include that element to your team. Whether you already have sideline team chairs, and now you are looking to insert logos to them, or crave to add personalized locker room stools, then we are here to facilitate you. Having a standardized and aesthetically tempting overall image gives team liveliness; it provides them with individuality, equal opportunity, and logic of togetherness. Locker room stools are an additional compacted and highly mobile seating alternative, whether you would like to make use of them courtside or for seating in the storeroom room. Time Out Stools are another choice for simple to fold up and hide away, while the Model 118 Stool is a strong, non-folding alternative. Both choices can be modified with team colors, names, and symbols. If locker room stools don’t accurately suit your purposes, folding team chairs are a completely portable alternative to provide your players a place to have a rest anyplace they go. Ahead of ease and stability, the ultimate part of the Athletic Seating is providing our customers the capability to modify their products to go well with their team, school, and athletic competence. They can select the metal casing color and vinyl color. Our products can as well be printed with your school name, team symbol, or the name or logo of a VIP or supporter. Depending on the product, we can print on the bench, chair back or even the frontage of the seat for the highest visibility. If your athletic seating has been languishing with the similar tired previous seating for year after year, this time, make things special and unique with Athletic Seating. Athletic Seating is the #1 Source in the USA for schools and teams to add that special touch to their sidelines and locker rooms with custom sideline chairs. We are the largest dealer in the USA for Clarin model chairs and stools…..and our prices are unbeatable! We are the only dealer that does the logo printing, and cutting out the middleman vendor saves you money! Our exclusive logo printing process is far superior to any wide format type of printing. Instead of a matte finish of your logo on the chairs, you’ll get a “glossy’, almost “laminated” effect that will make your school or team proud to display them! Ask any of our customers, or ask to see a sample. Check any of our testimonials on the website! Investing in team logo seating isn’t cheap, whether its chairs, stools, carts, etc…..why not put your best image forward with our quality logo printing? And, with a 12 year warranty on the chairs, you’ll be getting the best value around. Shop around if you’d like, and check out what other dealers charge for the same model chairs. Some ask over fifty dollars more for the same chair! 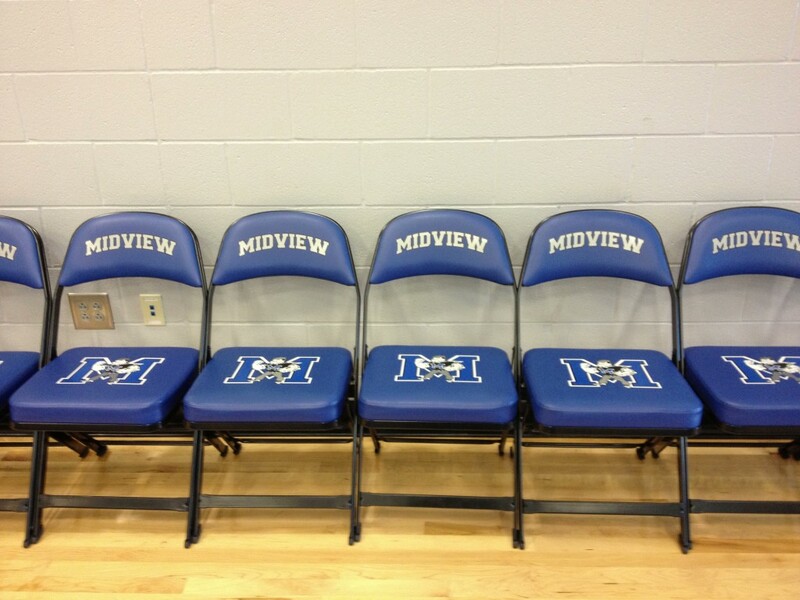 Team chairs and locker room seating are our only business, we don not sell socks, basketballs, gym whistles, etc. Team seating and locker room seating is our specialty. So if your school or team is in the market for sideline chairs, locker room stools, or any kind of logo chairs, Athletic Seating is the place to call. When you decide to order custom-printed athletic chairs for your gym or sports facility, it’s not a decision to be made lightly. In order to properly outfit your locker room or seating area, you’ll need to order a large number of chairs. This makes it a significant investment for your school or organization. That’s why it’s important to do your homework on the company from which you purchase your athletic seating and the methods they use to customize them. There’s nothing more disappointing than unpackaging your shipment to discover that you’ve been sold an inferior product. Maybe the chairs themselves are chintzy and don’t appear that they will hold up for more than a season. Sometimes, the printing simply isn’t up to par. Your team’s logo may appear faded or blurred. Even worse are logos and lettering that begin to peel after a few uses. That’s what makes Athletic Seating different. From the folding chairs and locker room stools themselves to our signature printing style, we want each of our customers to receive a product that will stand up to the exuberant fans, sweaty players, spills, bumping, and jostling that make up an exciting season or event. Here’s how we do that. First, we ensure that each of our products is built from the ground up with quality materials. All of our chairs and stools are made right here in the U.S.A. They’re sturdy and heavy-duty, with powder-coated metal frames that stand up to abuse much better than traditionally-painted frames. Whether you order a set of Model 3400 Chairs or a number of Time Out Stools, they’ll feature vinyl that’s thick and resistant to ripping and stretching. We also realize that comfort is key, and the padding in our chairs is thick and resilient. We also work hard to offer a wide array of options to suit any budget or specific need. Our Model 2617 Chairs, for example, are a more lightweight, affordable option for players or spectators alike. If you need to outfit your team bench area with something more sturdy, the more luxurious Model 3-3400 Wide Chair provides more room and deeper padding. Next, Athletic Seating differentiates itself through our high-quality screen printing process. Why don’t we do digital? While digital printing sounds more high tech and better, we’ve got the experience to know that screen printing simply reaps brighter, sharper, and longer-lasting results. Our ink layers are thicker, show up better, and provides a much better result for our customers. That means that it may take us a bit longer to customize a set of SC-1 Sideline Chairs, but we’re comfortable knowing that our customers are getting a vibrant product that will truly pop…and will stand the test of time. When you invest in a set of athletic chairs from Athletic Seating, you’re not just investing in the chairs themselves – you’re trusting and investing in us. We’re proud to have been providing high-quality athletic chairs and stools for over 30 years. Now that you know more about our products and printing process, what can we customize for you? Contact us so we can get started! “If You look good, you feel good. If you feel good, you play good.” Deion Sanders. These words may not be more applicable anywhere in the world than in sports. Uniforms themselves are such a vital part to the athletic world. And further, athletes spend both time and money to make sure everything looks right. The perfect shoes, the right gloves, one sleeve long the other gone, the right cleats and so on and so on. Athletes care about how they and their teammates look. Schools and professional teams alike will spend millions of dollars on upgrading locker rooms and training facilities to drive more interest to their programs. The Tampa Bay Buccaneers recently spent $150 million dollars on renovations and the five-time Super Bowl Patriots just renovated their locker room this past off-season. Needless to say, when it comes to sports the details matter. Athletic Seating is a company that can offer a chance to add that detail to your team. Whether you have sideline team chairs, are looking to add logos to your sideline chairs, or want to add customized locker room stools, then Athletic Seating can help you. So why do athletes and athletic programs care so much about all of this logo, uniform, and appearance stuff? Having a uniform and aesthetically appealing overall image gives a team energy, it provides them with identity, equality, and a sense of togetherness. Like a good mission statement for a fortune 500 company, the right look has a team feeling and playing their best. The best coaches are taskmasters, they have to be. Coaches need to be able to simultaneously manage the game clock, know the current score and situation, understand the player’s current mindsets and attitudes, and be able to direct the plays and game strategy. It may be an important exercise to put yourself in the shoes of a student-athlete. Imagine you are 16 years old, and you get to the gym for tonight’s big game as a member of the basketball team. You head to the locker room and you pull up your team folding chair with the team logo and get dressed. You pull on your new pair of Jordans, your compression sleeve and wristbands. You put on your warmup jumpsuit and take the floor. After warmups, you grab a seat on one of the sideline chairs we’ve all seen at basketball games and you feel part of something bigger than yourself. You’re on a team, and it’s time to go out there and do your job. The overarching theme here is that the details matter on a good team. And while it may seem simple, a team folding chair can be a real added value for an athlete. The American made folding chairs from Athletic Seating can do this for your program. Don’t let Bobby Knight tossing one across the floor be your only relationship with a piece of equipment that can transform your team. Cheer on your team with customized courtside furniture made in the USA. There’s nothing as American as enjoying a cold drink and a hotdog or plate of nachos while you cheer on your favorite team from the stands. Here in the good old U-S-of-A, we make it a point to show support in our teams by decking out our gymnasiums and sporting facilities in team logos and colors. This includes banners as well as customized courtside furniture such as sideline chairs and folding team benches. To take the patriotism and school spirit up a notch, many schools and universities make a conscious choice to buy their team chairs, locker room stools, and other athletic seating equipment from manufacturers such as Clarin that are located right here in the United States. There are many reasons why this is important – and pride in our country is only one of them. When you need to buy a large amount of basketball sideline chairs, quality matters – you don’t want to have to purchase them again in just a few seasons because they’ve started to break or rust out. This was one of the main reasons Athletic Seating chose to carry Clarin products. Clarin’s focus on quality can be seen in all of its products, but its Model 3400 Chair is a prime example of their extreme attention to detail. Clarin sideline chairs are built with a double tube and channel frame that provides long-lasting strength and durability. The “X frame” construction ensures a long chair life while Torx screws keep the seat back securely in place. Comfort is also key, which is why Clarin designs its team chairs with Duraflex Action that helps keep them level even when they’re placed on an uneven surface. In addition to this, rubber feet help prevent them from sliding on slippery surfaces or damaging gymnasium floors. Clarin quality didn’t just happen overnight; it comes from generations of hard work and focus on superior design. Their first folding chair design was created by Werner Clarin back in 1925, and the company has been building phenomenal products based on his design ever since. Clarin products last so long that it’s not unusual to find venues that are still using Clarin sideline chairs that were manufactured in the 60s and 70s. Although Clarin is well-known for its folding chairs, it also manufactures an entire line of locker room stools that are as customizable and comfortable as they are durable. Made with the same quality and attention to detail as their folding chairs, Clarin stools are the ideal addition to any team locker room. In addition to purchasing courtside furniture products with a long history of quality and durability, there’s a sense of pride in buying from companies that support American jobs and our economy. When you purchase personalized folding chairs from Athletic Seating, not only are your chairs manufactured in the United States; they’re also customized and screen-printed by a family-owned business right here in Streamwood, Illinois. Whether you’re shopping for the perfect logo chair or a lineup of folding stools, we take pride in every item that we ship out. In addition to generating jobs and creating high-quality sideline chairs and other products, we’re also proud of our excellent customer service. Do you have a question about the kind of seating you need or how to get your products customized? Let us know and we’ll be happy to help. 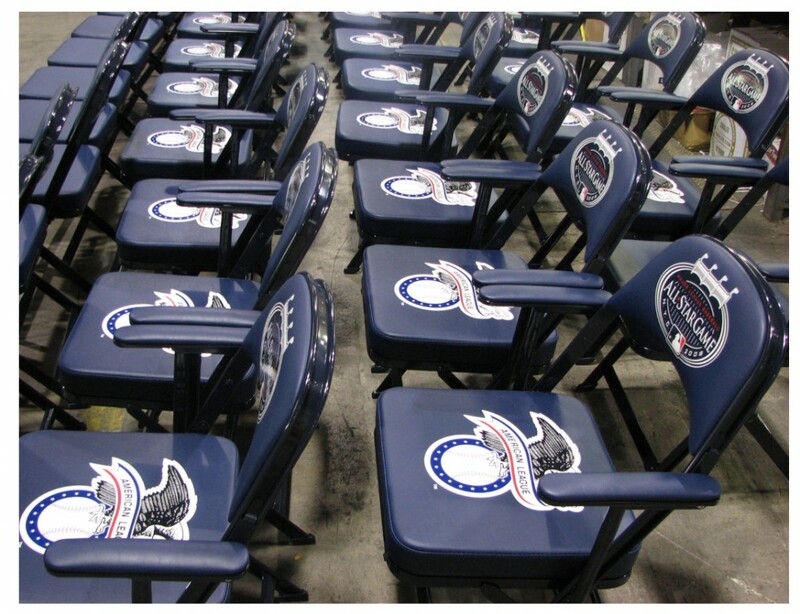 Update your sporting facility with customized folding chairs emblazoned with your team’s logo. School has come roaring back and is running full-force…and so are this year’s sporting events. What has your school done to update your athletic facility for your team and guests? A fresh coat of paint, new banners, last year’s honors added to the wall… What about customized folding chairs for your players and VIPs? Sure; you could reserve the first couple of rows in the bleachers and cordon them off for your players, special guests, sponsors, and coaches. However, this doesn’t add a thing to the visual appeal of your gymnasium. In addition to this, it doesn’t make those people feel very special. 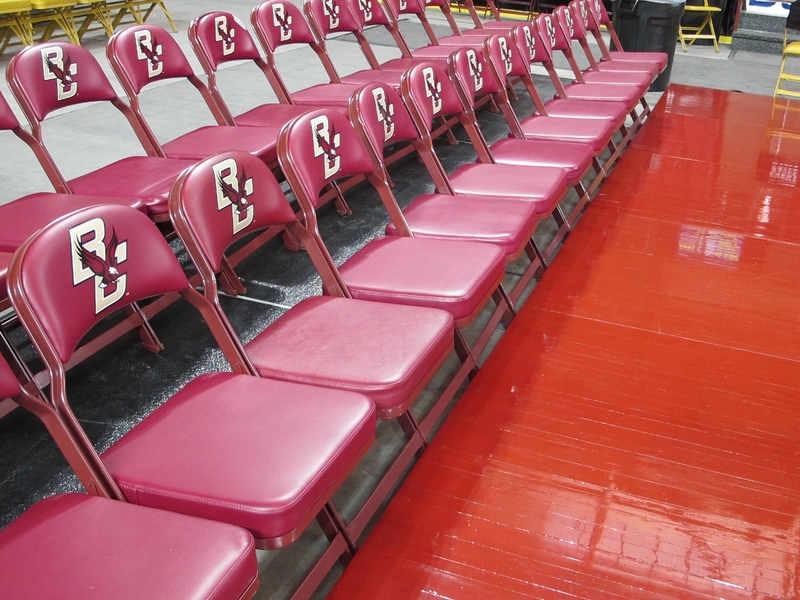 When it comes to courtside furniture, here are options that will make your facility – and your players – feel first-class. Rather than roping off the first few rows of your bleachers, make your players and special guests visually stand apart by seating them in basketball sideline chairs. The Model 3400 Chair is the perfect mix of price and comfort that will allow you to truly transform your sports facility with an update that’s affordable and removable if you need to use the space for something else. These team chairs come in a wide variety of frame and vinyl colors, so you’re sure to find a combination that will look classy and suit your team colors perfectly. Our Model 3400s come with 3 full inches of padding in the seat and an inch of padding in the backrest, making them a truly comfortable option for players to rest and rehydrate on the sidelines or for guests to relax and cheer on the team. The best thing about furnishing your front lines with dozens of these chairs is that they’re personalized folding chairs. Provide Athletic Seating with whatever graphics you desire and we’ll screen print your team’s name, logo, or any other artwork you request on the chair seat, back, or the front edge. This is also a great way to honor longtime team sponsors. The Model 3400 isn’t the only way to give your school’s sporting facility a makeover; there are lots of other options for personalized folding chairs. For the ultimate in both style and comfort, the Model 3400C features contoured padding and is also highly customizable. Locker room stools are another compact and highly mobile seating option, whether you’d like to use them courtside or for seating in the locker room. Time Out Stools are easy to fold up and stash away, while the Model 118 Stool is a sturdy, non-folding option. Both choices can be customized with team colors, names, and logos. If locker room stools don’t exactly suit your purposes, folding team benches are a perfectly portable option to give your players a place to rest anywhere they go. If your athletic facility has been languishing with the same tired old seating for year after year, this season, make things different. The question isn’t if you’ll opt for new courtside furniture; the questions is what courtside furniture will look best at your school? 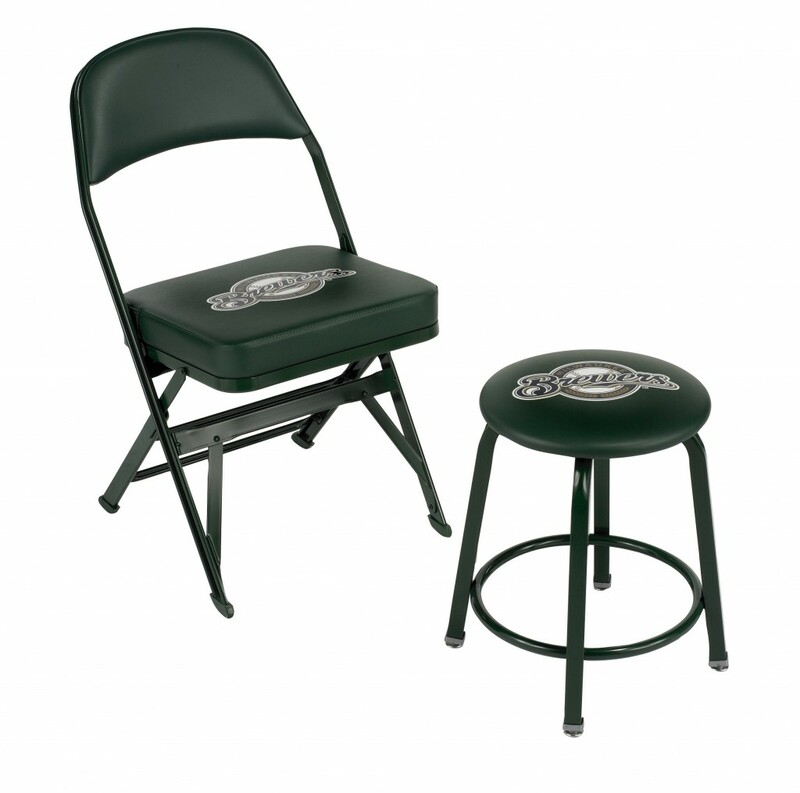 Customized team chairs and locker room stools are the ideal accent to your sporting facility. Is your team looking for new sideline chairs or personalized folding chairs? Athletic Seating is your number one source for courtside furniture! When School is back in session, and if your team needs new folding team bench, locker room stools, team chairs of any kind, Athletic Seating can take care of your needs. We are the number one dealer for Clarin chair products in North America. These are the same sideline chairs most pro and college teams use. No lookalikes, Chinese knockoffs, or cheaply-made chairs here….just the top of the line logo seating, personalized folding chairs! Some of our customers include the Toronto Raptors, Philadelphia 76’ers, Chicago Bulls, and others. The most popular model we carry is the Model 3400, perfect for basketball sideline chairs, locker room chairs, any kind of logo chair you’ll need. We carry the entire line of Clarin products. And all of them customized for your team! Check out our website for more information, or give us a call at 630-837-5566 and one of our courtside furniture experts will be happy to assist you.